Prime Minister Jüri Ratas (Centre), Minister of Justice Urmas Reinsalu (Pro Patria) and Minister of Finance Toomas Tõniste (Pro Patria) at Thursday's government press conference criticised an idea proposed by opposition Reform Party chairwoman Kaja Kallas to eliminate the social tax in Estonia. 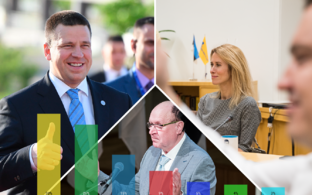 "Naturally, I understand that the elections are approaching and are less than half a year away," Ratas said at the press conference. "I understand that parties are trying every day to increase voters' support of their candidates by means of bold electoral promises." Nevertheless, politicians, too, must be responsible in their speech and not come up with what are essentially shock slogans, he said. "I am of course talking about eliminating the social tax," the prime minister continued. "In my opinion, this idea is extremely irresponsible. This would mean depriving our people of medical insurance and pensions. 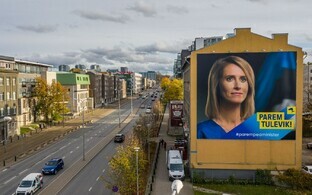 I feel that the Reform Party has said this before — has covertly proposed privatising healthcare — and I do not think this is in the interests of the majority of Estonian society, and I assure you that the Centre Party, at least, does not support eliminating the solidarity-based pension and social tax, which is the foundation of medical insurance." Commeting on Kallas' proposal, Tõniste likewise noted that the 2019 Riigikogu elections are approaching. "I am quite surprised that an idea like this is coming from the leader of the Reform Party — completely out of the blue," he said, adding that ideas like this one indicate an apparent shortage of campaign issues. 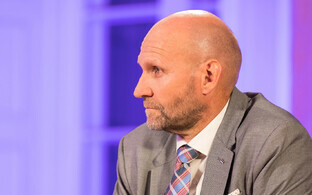 Reinsalu noted that eliminating the social tax would have two aspects. First, it would concern the expenditure covered by the social tax; second, if the social tax were eliminated, the subsequent increase in income tax would constitute a threat to Estonia's competitiveness. In that case, income tax in Estonia would amount to 50% for businesses and individuals alike, and this would undoubtedly render Estonia uncompetitive in the international business environment, he added. Speaking to Toomas Sildam in a longer interview published by ERR on Thursday, Kallas said that she would prefer if the social tax were eliminated altogether in Estonia, noting that Denmark, for example, utilises a higher income tax in lieu of a social tax. "Yes, I know that this would cost €3.2 billion [per year]," Kallas said. "This isn't included in our election platform because we also have three former finance ministers in our party." Kallas said that how to achieve substantial fiscal gains by significantly cutting some taxes needs to be discussed. "This currently isn't part of our platform, but we need to introduce this debate in the next four years."